Amount of Content Measures the volume of text-based content on a website. Users generally crave substantial information which only text can provide. To rank competitively in search engines, they must find a sufficient volume of content for your desired keywords. 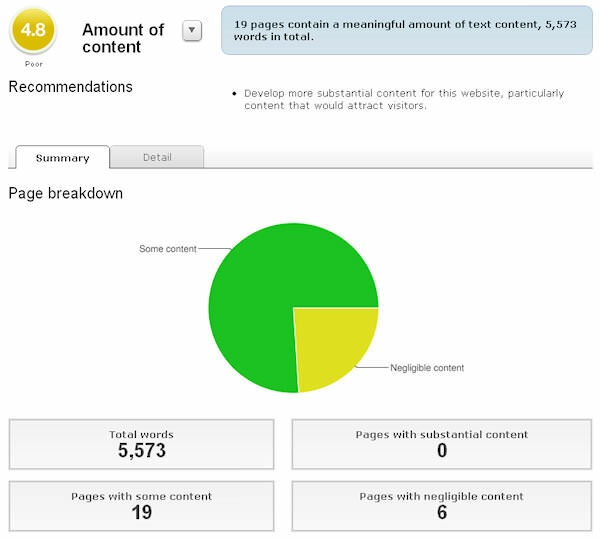 Each page is analysed in turn, and non-content text is intelligently removed. For example, navigation, menus, breadcrumb trails and footers. The remaining text represents the unique ‘body text’ of the page. The length of this content is measured and recorded for each page.